Since its establishment the Edward Clark Collection has been maintained through the years as a teaching resource, and many students have seen at first hand the splendid examples of typographers, printers, illustrators and binders art and craft. However, such familiarity has a cost, and in recent years there has been some concern about deterioration of the collection. Many librarians know from bitter experience the damage that can be done to collections by allowing too easy access. We tread at times a difficult path between access and conservation. Conservators work to preserve books for posterity, but it is easy to forget that posterity is here and now as well as in the future . Napier’s students, staff and indeed scholars worldwide are the posterity for which Edward Clark, William Maxwell and successive librarians have built and preserved the Collection. And so it is as a working Collection that we wish to conserve the stock. To this end we have sought to stabilise and repair the stock to withstand (careful) handling. In 1992, using funds from the Edward Clark Trust and the University, an in-house conservation survey was undertaken, and preparations for a de-acidification programme put in place. 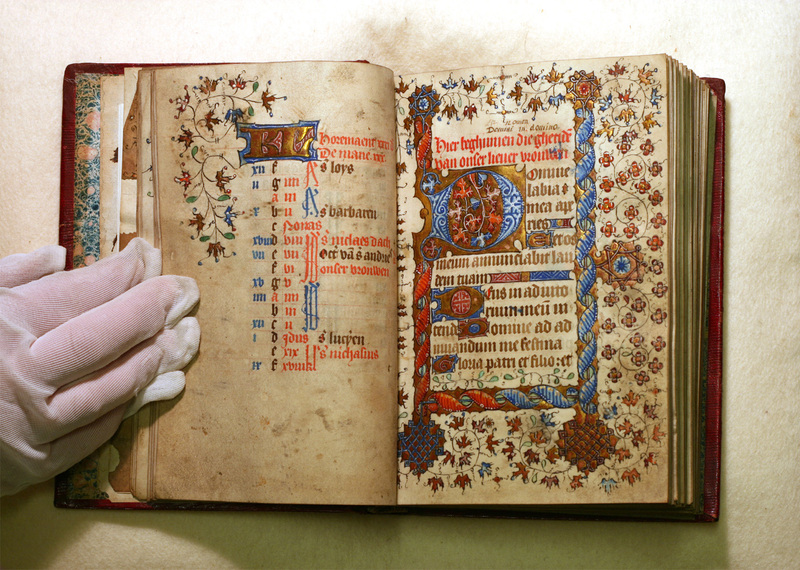 Following the award of funding in 1996 from the Joint Information Systems Committee’s programme of non-formula funding of specialised research collections in the humanities, a full conservation audit was commissioned from the University of Dundee’s Library Conservation Unit, and from this we planned a programme of conservation work. To date over 300 items have been treated, and a considerable amount of work is in hand. In addition we were able to purchase equipment and materials to assist with the proper care and treatment of the collection; these include tissue for the protection of illustrations, acid-free book marks, book snakes, cushions and rests, boxes, envelopes, and portfolios, dusters, air-guns and gloves! Furthermore, with additional funds from the Edward Clark Trust and the University, a small buildings project was undertaken to enhance the environment for the storage and study of the collection. The new accommodation has been available since September 1998 within the Campus Library at the University’s Merchiston campus. Adapted from the words of: Freshwater, Peter. “Rare book collections as centres of excellence”. Library Association Rare Books newsletter, no.29 (May 1987). The Edward Clark Collection illustrates the development of the book from the 15th century, concentrating on the development of typography, the techniques of printing illustrations, and fine bindings.